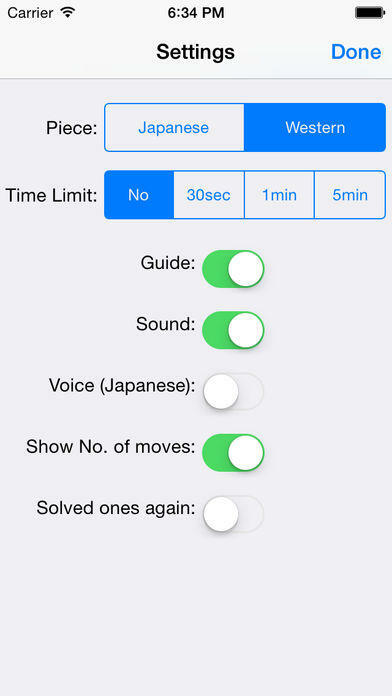 "Akira Watanabe's TsumeShogi for iPhone, intermediate course" is an application to enjoy solving the shogi problems. Mainichi Communications Inc., the leading company for shogi applications, and Kakinoki shogi, that has the distinguished operability, have collaborated on this software. Akira Watanabe, the first Honorary Ryuo, is the supervisor and has cooperated with sounds. Using Kakinoki shogi for the engine, which has good reputation. 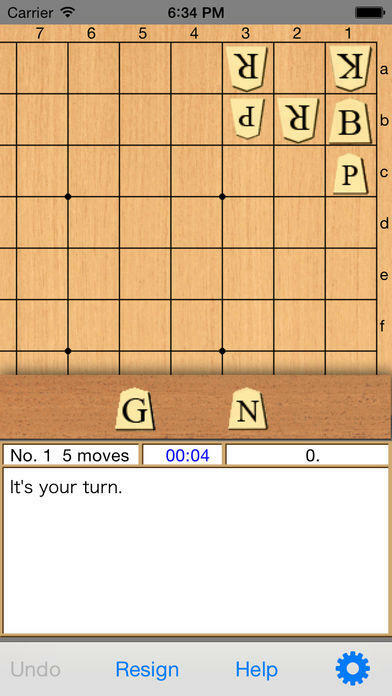 For beginners, there are easy explanations on help file about the rules of shogi and how to move the shogi pieces. A hundred selected shogi problems, from "Weekly Shogi", and all problems are mate in three. Computer will make the best move against your move. Please enjoy the "real" shogi battle. 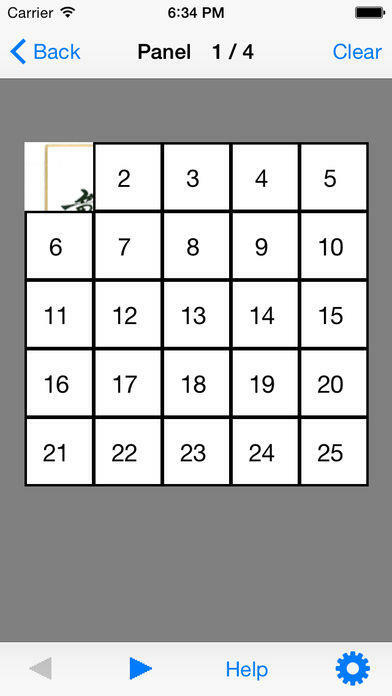 You can choose the questions form, numerically, appointing a number, at random, or choosing from panels. 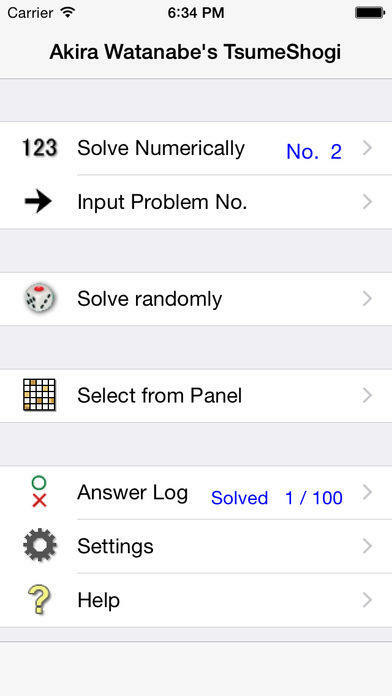 You can check the record of each problem about the date and time, results, and time required. - Fixed problems on iOS 8.